Why am I reading like this? It was all happening too fast though. Many of the people felt that life was out of their control. They wondered if the timing was truly real or if this man Moses was really sent by Elohim. Who did he really think he was anyway? Why him? This is not the way they had all imagined the end of their life in Egypt would be. What about my job? Don't I need to give a two-week notice or something? How about a forwarding address? These were all questions that went through the minds of the Hebrews as they prepared in haste to leave the place they had once called home. Yes, the sun was rising from a quite sleepless night. But although the sun was especially bright that day there was a darkness of confusion that filled the hearts of many Hebrews. What would this day bring? They were afraid to ask! Let us all take some time in the days between Passover and First Fruits to consider the lives of the people who were leaving Egypt as well as those who lived the long days just after the death of Yeshua. The days prior to His resurrection. Maybe as we consider their uncertainty of the future and the emotions they must have dealt with, it will help us to prepare our own lives for another fulfillment of prophecy, the one that is happening right before our eyes. Why a weekly reading schedule? On a weekly basis we hear the term unity in our churches and congregations. It is a subject spoken of, but is it truly lived out? 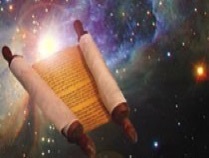 Going back to the time before Yeshua walked this earth, the Hebrews established a weekly Torah portion reading. Today this schedule goes from Genesis to Deuteronomy in one year. No matter where you travel in the world the same scriptures are being read and taught from. We understand the spiritual power of unity, which is why we join our faith with synagogues, congregations and churches that are choosing to follow this schedule. Our weekly readings include a reading from the prophets as well as the Renewed Covenant, (New Testament). Each week as you read, imagine that the same scriptures are being declared in most every country and time zone around the world.